Before we get into it, I’d like to mention a thought that may already be ringing in your mind. This thought is something along the lines of “but we already consistently conduct structured exit interviews and rarely extract any actionable insight from them due to the employee’s lack of interest in sharing information”. Some departing employees don’t see any reason to be open and honest about their feelings, and that you cannot control. But you can address this issue by going all the way back to evaluating your onboarding process, and taking action to engage in candid conversations with current employees to make them feel comfortable with sharing their honest feelings. However, that is a complex, separate topic of discussion altogether. We’re going to be addressing the second reason why the HBR article claims exit interview programs fail to improve retention or produce useful information, by providing the tools to document and follow a structured, formal process for effective interviews that enable you to get it right, every time. Focus on optimizing what you can control, and the unpredictable human element will be just that, rather than a reflection of the shortcomings of your company culture and offboarding process. An exit interview (also known as termination or separation interview) is simply an interview conducted with an employee who is leaving a company. The purpose of this interview is to learn. In other words, to gain insight into how you can go about reducing unwanted turnover by leveraging the information provided by the employee, while showing that you value their insight and intend on taking action to make improvements wherever necessary. When is the best time to conduct one? There is some debate around when is the best time to conduct an exit interview. Many companies choose to conduct them as a routine part of the offboarding process during an employee’s last week on the job. Some employers do them several weeks or even months after the individual leaves, either by phone or online survey. The most important point to consider regarding timing is how heated the departure was in terms of emotions and conflict with other members of the organization. If the exit was, shall we say, rough, then it might be a good idea to conduct the interview a few weeks after the employee has left, so the dust has settled and they can provide their feedback with a calm perspective. If it was a smooth departure, then conducting the interview during the employee’s final week is suitable. What is the best method to conduct an exit interview? You can also use a combination of methods. For example, an online survey can be used to complement a face-to-face interview. Also, a short questionnaire sent to the employee prior to a face-to-face discussion can clarify talking points and the general direction of the meeting so that in-person time can be used more effectively. What are the most important data points to gather? The first thing to acknowledge before beginning the exit interview process is that it’s not just about understanding why the individual is leaving. There’s a lot more that goes into it if you want to do it right. The foundation of any interview is, of course, the questions. Always bear in mind that when formulating questions for an exit interview, the purpose is to understand how and why the employee feels the way they do, not merely to extract business-valuable information in the most efficient way possible. Below is a list of 10 tried and tested questions that you should consider integrating into your interview process. Some of them only apply if the employee is transitioning to a new job. How would you describe the relationship with your manager? How would you describe our organizational culture? What did you like most about your job? What did you like the least? Do you think management adequately recognized employee contributions? If not, how do you think recognition could be improved? What circumstances led you to start looking elsewhere for work? What was the biggest factor that led you to accept this new job? I mentioned that the purpose is to understand how and why the employee feels the way they do. This statement is directly linked to the importance of listening. You are conducting the interview to learn, and without listening you cannot learn anything. As obvious as that may sound, many interviewers push their agenda, sometimes without even realizing, and therefore significantly limit the insight they gain. Be sure to give the employee plenty of time to consider each question. Do not rush them or breeze through the questions in a way that makes them feel like your more focused on other tasks you need to address following the meeting. We’ve gone over the basic components of an exit interview, now we’re going to focus on how to apply them in practice. Executing the interview flawlessly every time begins with establishing a formal, structured process to manage the termination end-to-end, in other words, from the moment the employee notifies you that they will be leaving the organization to hosting a farewell party! Process Street has put together a template that will enable you to do just that. The Employment Termination Checklist will guide you through each and every step and can be integrated into your processes for free. Just sign up for a free Process Street account and add the checklist to your library. Once you’ve added the checklist, you can customize it however you want to suit your existing processes. We also encourage you to integrate the checklist with your HR tools through our integration with Zapier, which connects Process Street to over 1000 applications. That way you can automate various tasks such as requesting a letter of resignation from the employee and scheduling the exit interview. As you can see, the exit interview section starts at task 23 and contains 3 tasks. This is a very basic framework that is intended to be built out by your HR team. For example, you can add a file upload form field to task 24 to upload the meeting’s agenda, a list of questions and other important documents. Do you think management adequately recognized employee contributions? Do you feel you had the resources and support necessary to accomplish your job? Beyond employee termination, we have a selection of other HR-related templates for onboarding and a range of other processes. Fantastic! 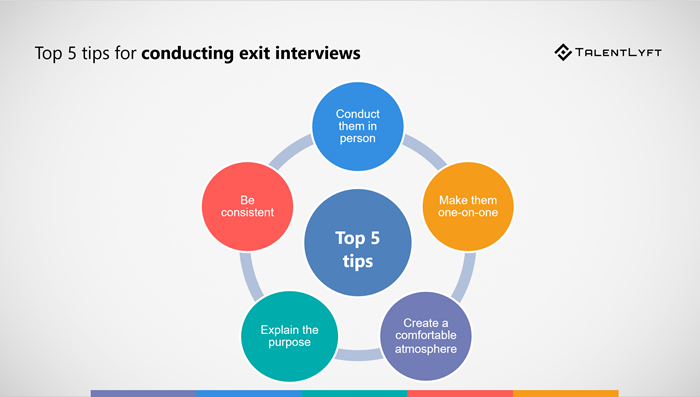 You’ve nailed the process for conducting exit interviews. Now it’s all about leveraging the information you collect to continuously improve employee morale and the work culture in general. Following the interview, spend some time evaluating the information you’ve gathered to identify the root cause of the employee’s departure and list a few ways that they could be addressed. For example, perhaps they felt that the training was inadequate, or they were not given enough opportunity to collaborate and contribute to projects they were interested in but lied outside their scope of work. Such insight can enable you to discuss ways to improve certain aspects of the job with managers and senior management, so action can be taken and progress monitored. According to Workable, there are a number of components that go into creating an employee retention program. The first is accurately measuring your turnover rate so you have a good understanding of where you stand compared to industry benchmarks. Then develop an employee compensation strategy based on the value of each employee. Make sure you are rewarding the right employees to build loyalty. Offering stock options can be an effective way to do this, or simply providing extra benefits like discounts and tickets when the employee exceeds expectations. A third, and arguably the most important component, is the working environment. Also, consider employees work-life balance. Listen to employees needs and offer flexible work schedules to ensure they are not being overworked. Other components of an employee retention program include relationship with managers, personal development, and recognition. You can read more about them here. You want to make sure that exit interview data reaches key decision-makers in your organization who can implement changes as effectively as possible. Sometimes executives are skeptical about how honest departing employees were in their statements, so it’s essential that you prepare by carefully evaluating all of the data and anticipating objections from decision-makers prior to presenting them with the information and your suggestions. 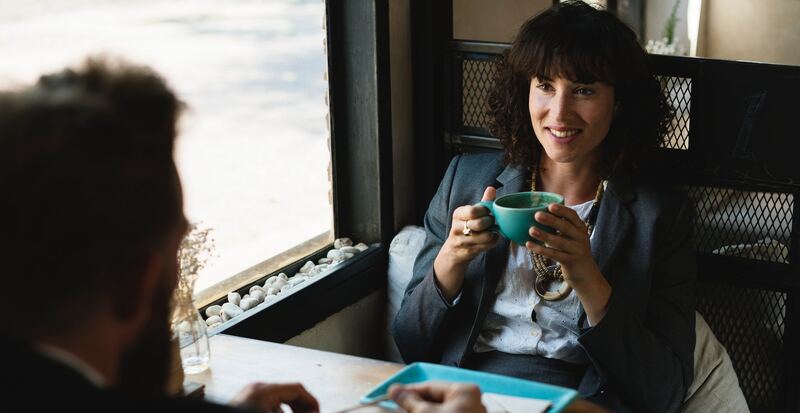 The primary purpose of the exit interview process is to gain valuable insight that enables you to continuously improve employee morale, productivity, and the work environment as a whole. The secondary purpose, which I would argue is equally as important, is clearly showing departing employees that you value the contributions they have made during their employment and the ideas/feedback they have to offer. Never overlook the importance of listening. Only by giving the employee the space to process their thoughts and express themselves honestly will you gain the insight you are looking for. Finally, always document action items, share them with decision-makers, and monitor their progress to get the most out of the interview. I hope you found this article helpful! 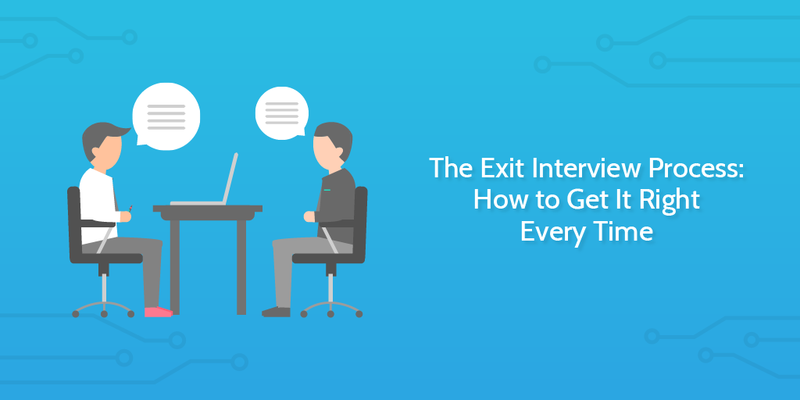 If you have any thoughts on why exit interviews are important to your business or have ideas on refining the process, let me know in the comments below!